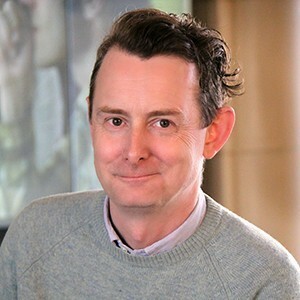 An Associate Professor in the Interactive Media Division of the School of Cinematic Arts, Richard Lemarchand is a game designer, a writer, a public speaker and a consultant. A passionate advocate of indie and experimental games, Richard has been involved with the IndieCade International Festival of Independent Games for several years, and was the co-chair of the IndieCade Conference in 2010, 2012 and 2015. He regularly speaks in public on the subjects of game design, development, production, philosophy and culture, and organizes the annual GDC Microtalks, a session which celebrates games and play with short talks by diverse speakers. He is also a former faculty member of the GDC Experimental Gameplay Sessions.